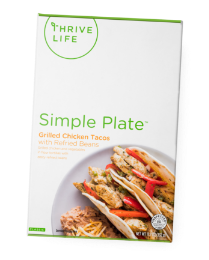 Thrive Life: Simple. Clean. Food. Create effortless, healthy habits every day with food that stays fresh! No fridge required. 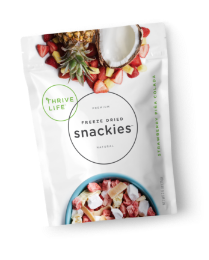 Break out the apron and start experimenting with Thrive Life ingredients to create your own masterpiece or make a healthier, quicker version of a family favorite! 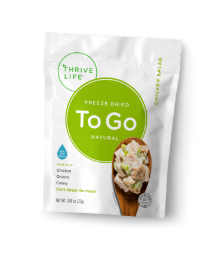 It's what gives your food that special crunch, and it's helping busy folks like you stop chasing expiration dates and enjoy tasty food anytime you want. Schedule your grocery shopping with the Delivery Service! Plus get free shipping* on deliveries over $100 and a monthly 30% off coupon! *Hawaii and Alaska pay 5% of their Delivery Service subtotal in shipping.